When you think of Miami, the first image that pops into your mind is South Beach and its entire splendor. In reality, Miami has a central business district, commonly called “downtown,” and is a major financial hub in the U.S. The downtown area is home to many of Miami’s most cultural, financial and commercial businesses. Because of the business in Downtown, there is a strong and increasing population of residents who are ready to set the world on fire. They live in high-rise condominiums that offer luxury residences for those who love the thrill of living in a major metropolitan city that has a tropical and, even exotic, atmosphere. The list prices of residential property in Downtown Miami offer a wide range for buyers. The best part is that because there is such a variance, the area appeals to many buyers whether they are first time buyers, seasoned buyers or those interested in investing in rental property in one of the condominiums. Following are a list of properties that are available in Downtown Miami and priced somewhere around $300K. This is a great one-bedroom, one-bath unit in a classic, Miami-style condominium as it offers wonderful views of Biscayne Bay, Miami Beach and the Atlantic Ocean. 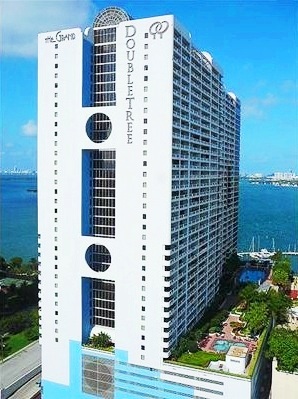 As a fully-furnished property, this unit is ideal for investors as it is part of the Doubletree Hotel program or as a second home for someone who spends a lot of time in Miami for business or pleasure. The Grand is close to everything including the new Performing Arts Center, excellent shopping and dining as well as the major arteries in and out of the city. This is a great one-bedroom, one and a half unit located on the southeast side of the building with beautiful Bay and city views. It is close to Brickell, South Beach, and the main arteries into and out of the city as well as the shops, restaurants and businesses in Downtown Miami. It features a nice-sized kitchen with lots of counter tops and large open rooms. Enjoy Miami from a large balcony or make use of the heated pool, health club and more that are exclusively for residents. This is an excellent investment for any buyer. 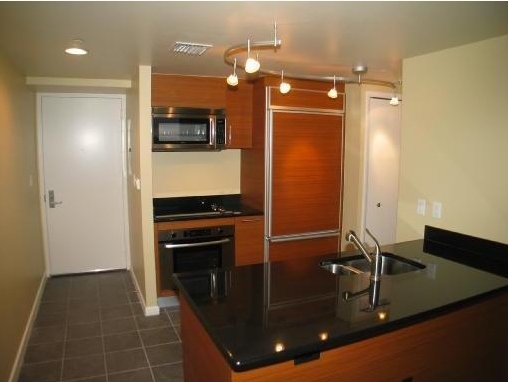 Offering the largest one-bedroom floor plan in the Grand, this unit features an updated kitchen with stainless steel appliances and a tile floor as well as walk-in closets, wood floors and plus carpet. In the back of the unit, there is a large utility room that offers extra storage. It is ideal for investors, part-time residents or first-time buyers. This is a spacious one-bedroom condominium includes a separate den and offers panoramic city views. 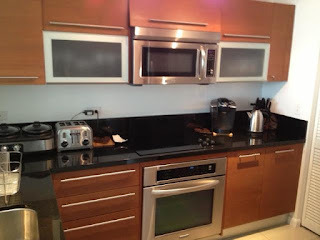 It also features an updated galley style kitchen with stainless steel appliances and large rooms. Community amenities include two amazing resort-style pools with cabanas, state of the art fitness center and large contemporary lobby, 24-hour security and valet. As one of the most sought after addresses in Downtown Miami, this is an awesome residence for many buyers. Calling all investors to check out this property as it has rented for $ 1,600 per month. With so many community amenities, this one-bedroom, one-bath unit features a full-size kitchen, washer/dryer, large balcony that highlight city views, and so much more. Located at one of the most sought after addresses in all of Downtown Miami, this one-bedroom unit features a roomy kitchen with a contemporary flair and track lighting, open rooms, and views of the city. It is close to everything including shops, restaurants, business and more. This is a spectacular and roomy one-bedroom, one bath unit that features unbelievable Bay views, a nice-size kitchen with lots of counter tops and stainless steel appliances. Hardwood floors throughout the unit give it a very high-end feel that is expected in this bayfront condominium. Community amenities include a resort style pool with cabanas, state of the art fitness center, large party room, media room and more. Vizcayne is ideal for those who want to make a statement. There are lots of opportunities for you if you want to be in Downtown. Whether you are interested in investing in rental property, want a second home or be a full-time resident in the middle of the hustle and bustle, Downtown is a perfect place to look at property.